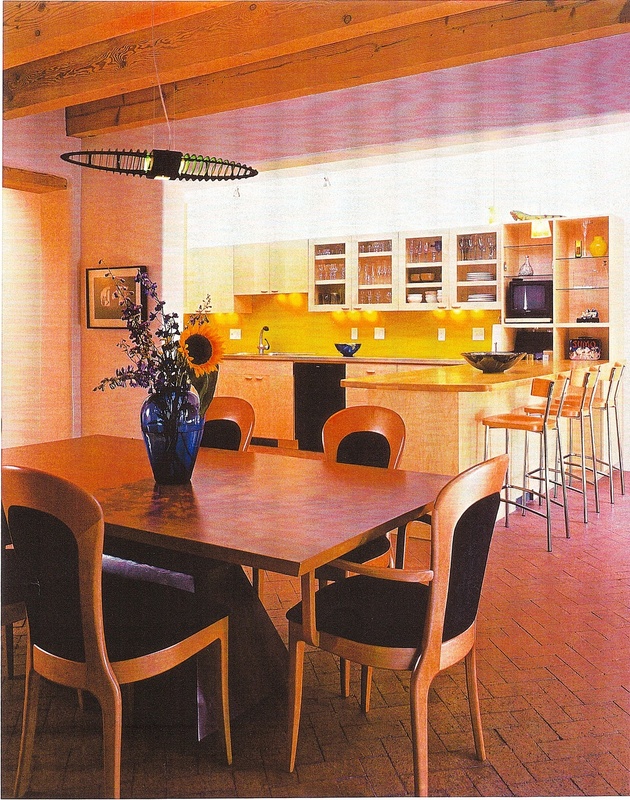 Results: Homebuilder’s Association of Central New Mexico award in 2000. While living in Albuquerque, President Mark Letizia worked for New Mexico builder, Robert Slattery. This project was designed by Rob Strell of Strell Designs. 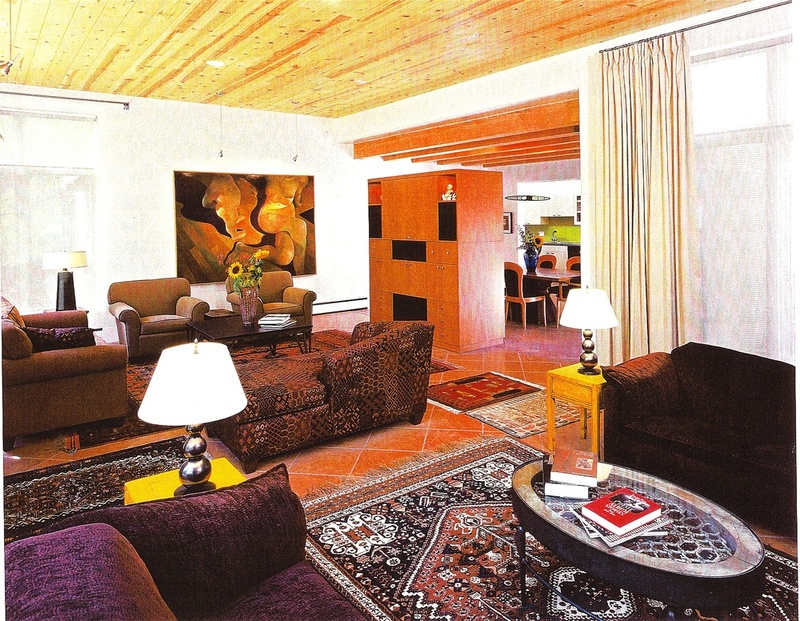 Together, our team achieved an amazing transformation of this pueblo style interior. The result was a lighter, more airy and colorful aesthetic reflective of the owner’s tastes. The owners had lived in this home since it was built in the late 1970’s. 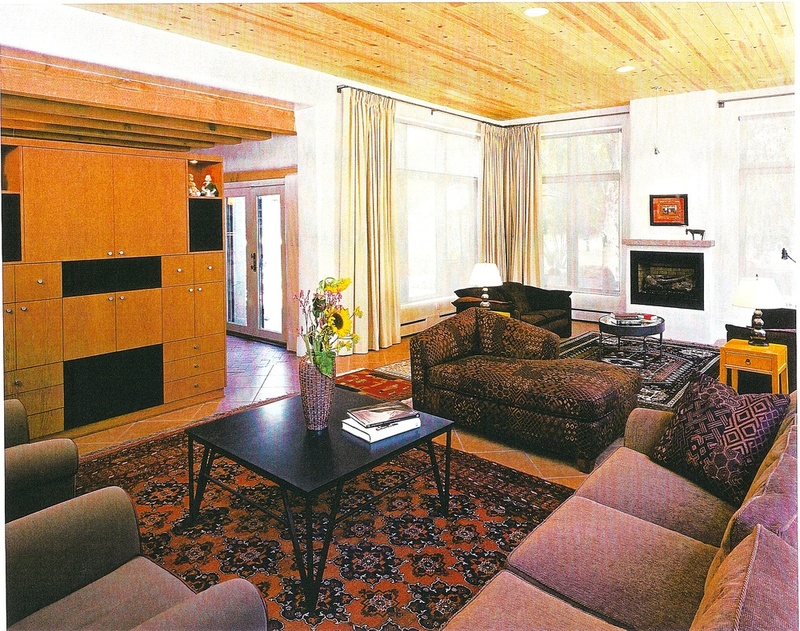 We added a large, living room with a custom designed entertainment center. Architectural details included stained, concrete floors in the master bathroom, sand blasting dark stain from exposed, wood beams in the dining room to achieve a lighter color, and an art nook in the wall space above the kitchen. Living room addition looking toward dining area, which is in original part of house. Dining area looking towards kitchen. Living room featuring custom made entertainment center. Master bathroom featuring stained concrete floor. Dining room showing wood beam ceiling. Beams were dark stained but we sandblasted them to get a nice light color.